Is a "Mini sim" the regular sim card? After a cheap phone for my Mum, looking at Nokia 100 on an upgrade, her sim card is at least 10 years old, same size as mine was before I switched to micro. So just a regular sim, is this a "mini sim"? Google seems devoid of information on mini sims. I thought iPhones 4 and 5, both used micro sims, the 5 taking the nano though. The more I look into this, the more confused I get. I know the iphone 3 used a conventional "mini" sim, which looks the same size as a normal sim to me. Cheap Nokias are all 2g phones so 3g doesn't matter. Thanks for the link, it's probably one of the few mentions of "mini" sims! It does just look like a regular size. Full size is debit card sized, Mini is the sim we regard as normal sim, Micro ( iphone 4 introduced ) Nano ( iphone 5 introduced ). 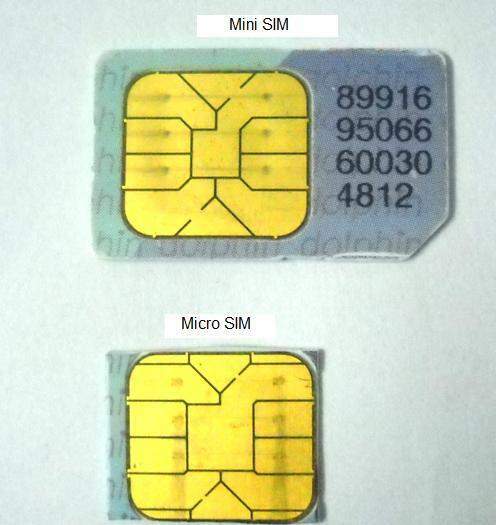 Most new mobiles are micro sim now. Full size is debit card sized, Mini is the sim we regard as normal sim, … Full size is debit card sized, Mini is the sim we regard as normal sim, Micro ( iphone 4 introduced ) Nano ( iphone 5 introduced ).Most new mobiles are micro sim now. Sorted then. Thanks. I wasn't around for full size debit card sized or knew they existed so knowing that now makes calling the the regular sim a mini makes more sense.